See you never again, Slava. Enjoy the borcsht in Siberia. The NHL has officially extended the indefinite suspension for former Los Angeles Kings defenseman Slava Voynov. The league announced today that Voynov is ineligible to return to the NHL next season, the earlier he’ll be able to re-enter the will be for the 2020-21 season. For those unaware, it was alleged that Voynov caused “great bodily harm” to his wife Marta Varlamova in a domestic argument. Voynov was suspended indefinitely by the NHL and he eventually had his contract terminated by the Los Angeles Kings. Officers testified that Varlamova told police Voynov punched, kicked, and choked her, and that her face was cut after Voynov pushed her into a flat-screen television. The officer also testified to seeing a laceration above Varlamova's left eye, blood streaming, and red marks on her neck. Voynov's attorney claimed that police misunderstood Varlamova because she doesn't speak English and maintained she "fell down." 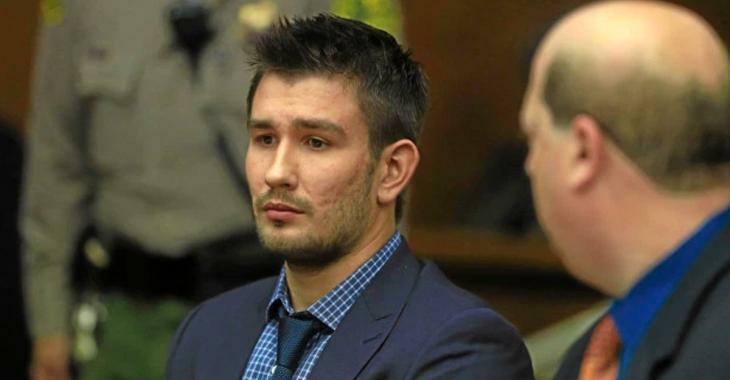 In 2015, Voynov pleaded no contest to the charges and served 90 days in Seal Beach Police Detention Center in California. Upon his release he returned to Russia, signing a deal with the KHL powerhouse SKA Saint Petersburg. After three seasons and two championships in Russian, including a gold medal win at the 2018 Winter Olympics, Voynov is now seeking a return to the NHL. Good riddance, Slava. Enjoy your extended stay in the KHL.